Bengaluru: Ace shuttler Saina Nehwal on Sunday said India had adequate infrastructure for badminton but didn't have enough coaches and academies. "There is no problem on infrastructure front, but what we don't have, (is) enough number of academies and coaches, like the Chinese have," she told PTI. Saina has been practising here after recovering from a knee injury which had affected her progress at the Rio Olympics. She had lost her second group match against Ukraine's Maria Ulitina to crash out of the mega event. "India should at least have 20 to 30 coaches in major cities of the country. 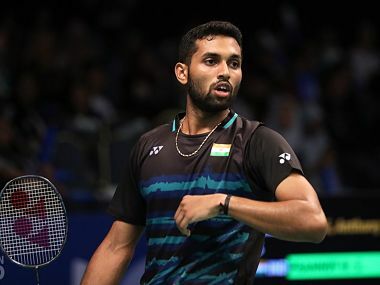 Unfortunately though, we have at the most two to three coaches," said the 26-year-old, who is eyeing a comeback at the China Super Series Premier (15-20 November) and Hong Kong Open Super Series (22-27 November). "What we don't have enough is the number of players and academies. If you see China, there are 30,000 to 40,000 players in cities there. They have four to five coaches for every event and that is how they produce champions. "You can never underestimate China because they can anytime produce champions. It is very easy for them because they have number of players and coaches with them," she added. Saina said other associations including the Badminton Association of India (BAI) are working on making their sports as big as cricket, which the BCCI did wonderfully well. "Cricket did not become big in two or three days. It took lot of time for them also to be here. I salute the Board of Control for Cricket in India because they have made the game so big. Other associations are working on it, I feel," said Saina, who won bronze at the London Olympics. Saina said BAI has been doing a good job by conducting Premier Badminton League, which inspired many to take up badminton. "I definitely feel BAI has been doing wonderful job by conducting PBL, which has inspired people to take up badminton. Ten years back, we saw only two or three players, now we have many players playing the sport, and hence there is an improvement there. It will happen slowly, though," she said. Praising the Indian government's initiative to promote sports, Saina hoped such support should be extended for next two to three Olympics. "As far as badminton is concerned, we are getting very good support from the government of India. I hope that support continues for another two to three Olympics to get right players and team, besides a good support staff including coaches. It will help a lot (of) players in all sports," she said.